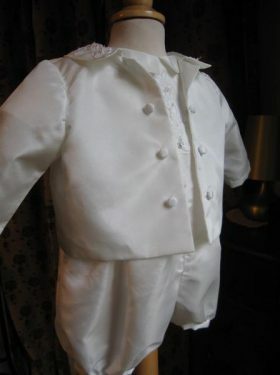 This silk Baptism Cape is made from pure white silk dupion and will finish off any baptism outfit. 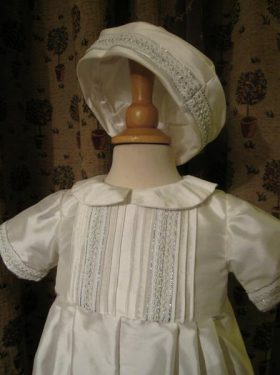 Ideal for boys or girls baptisms the cape has two layers of silk, each edged in deep Swiss lace ruffles. A hand embroidered monogram adds a touch of luxury. 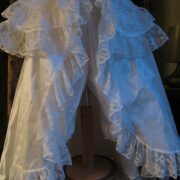 A variety of Swiss laces are available for the edging of the Cape. 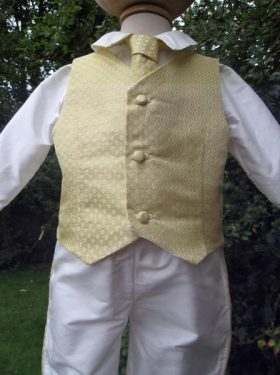 Alternatively broderie anglais trim could be used to create a more Victorian flavour. 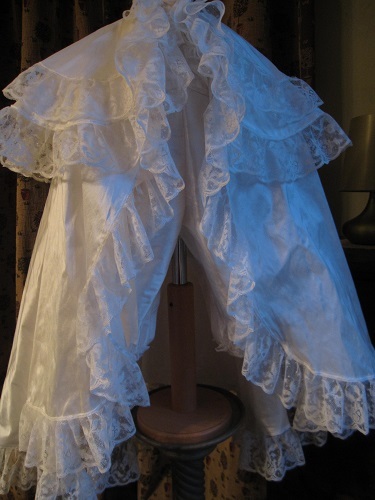 The cape can be made to accompany any of the gowns or rompers featured on Little Doves website and the decoration on the cape will obviously mirror that on your chosen outfit. A wide selection of monogram fonts are available, or why not have your coat of arms embroidered as a wonderful way of celebrating your heritage? 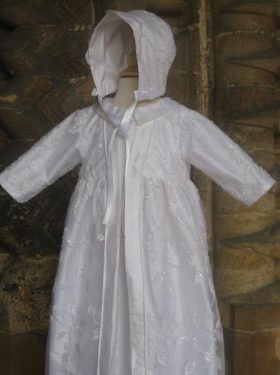 The Baptism cape is a perfect addition to the Antonio Christening Romper or why not chose it as a luxurious extra to go with one of our couture Christening Gowns?